Walt Disney World Resort in Orlando, Florida is a nearly 40-square mile destination which boasts 4 theme parks and lots of fun attractions including shows, dark rides, and roller coasters. This week we focus on WDW restaurant descriptions taken directly from the Walt Disney World website. Take this fun quiz and test your knowledge of TheCurrent 2019 Walt Disney World Restaurants as described on the Official Walt Disney World Website! Walt Disney World Resort in Orlando, Florida is a nearly 40-square mile destination which boasts 4 theme parks and lots of fun attractions including shows, dark rides, and roller coasters. 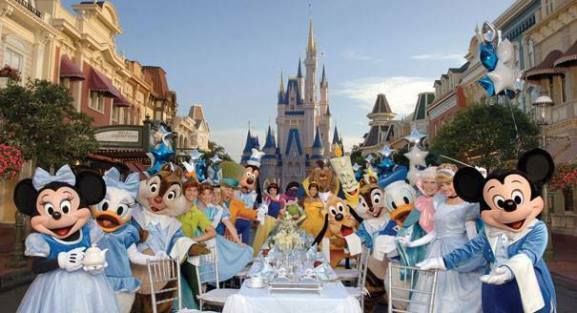 This week we focus on WDW restaurant descriptions taken directly from the Walt Disney World website. Take this fun quiz and test your knowledge of The Current 2019 Walt Disney World Restaurants as described on the Official Walt Disney World Website! Roam the road less traveled at _________________, thanks to a globetrotting menu of artfully prepared fare fit for a weary traveler. Begin your expedition with Spiced Chickpea Falafel or Charred Octopus. Go off the beaten track with our signature bread service or a house-made Charcuterie before planting your flag with the Tamarind-braised Short Rib or Surf and Turf. Seafarers, fortune hunters and vagabonds will no doubt find new discoveries in the shrimp and grits served with Applewood smoked bacon and heirloom tomatoes. It’s a blast from the past when you walk into this all-American eatery themed like Mom’s kitchen. Bring your appetite and your sense of humor, because Mom and the extended family aren’t above giving you lessons in table etiquette—and doling out punishment to misbehaving boys and girls. Enjoy a lively, all-you-care-to-eat buffet with Disney Friends in a bright, happy space. As the monorail whizzes by, Disney Characters mingle with Guests for photos and autographs and periodically lead diners in song and dance. Drink in delightful views of the rose gardens and courtyard pool as you dine on inspired favorites. Open for breakfast, lunch or an impromptu dinner, the _______________ is a hidden gem that offers moderately priced cuisine with maximum flavor. Rustle up some grub at this Old West saloon! Tell tall tales over chicken fajitas, taco trios and the Southwest Burger—all before riding off into the sunset to the taste of sweet treats like mini churros with dipping chocolate. Join Safari Donald Duck and friends at this colorful Harambe marketplace eatery for a wild Character Dining experience regardless of time of day—from breakfast and lunch to the family-style dinner buffet—all brimming with African flavor. Share spaghetti and meatballs and more at this fun eatery near the entrance of Magic Kingdom park. Quiz: Disney Princesses – Can You Ace This Royal Quiz? Walt Disney World – How Well Do You Know Walt Disney’s The Carousel of Progress? yikes…i didn’t do so hot. haven’t eaten at half the places! Wow, two of those were very tricky! The first one got me good and the ice cream one also threw me. I guessed on two of them and was right! Very tricky!! Great quiz!! 9 out of 10…not bad. i got the first one wrong, and then askersus or whatever i still dont know how to spell it! !